Janwillem has found half a skull on a road where there has been digging for the sewage pipes. He is wondering about the size. 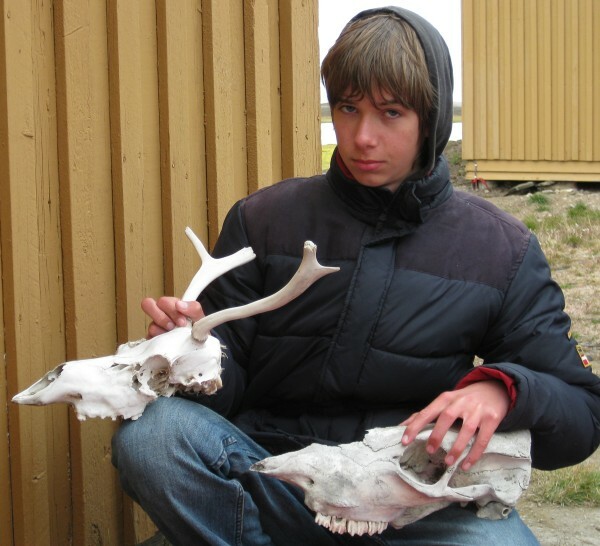 Indeed this is not a reindeer skull. This is a cow. It is a leftover of the mining days when the miners kept cattle in Ny-Ålesund. 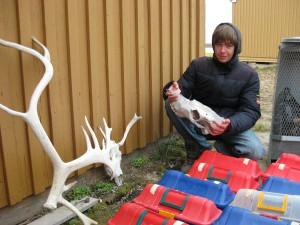 This skull ended being burried in the road from the stable to the dogyard. This page has been given the following keywords: [young polar scientist] You can click on each keyword to get an overview about related pages.